It shocks me how concerned society is today about pesticides and additives in the foods we eat, but how little we care about the additives in pharmaceutical drugs. Colorado is known among other states as a state with plenty of organic and natural stores, farmer’s markets and options for those who want to eliminate additives from their diet. While many are turning to natural vitamins and herbs to boost metabolism and ensure their bodies receive ample nutrients, we are still ignoring the amount of processed drugs we consume for pain. Medical marijuana is one of the only pain subsiding options that is grown naturally, as an herb. Instead of manipulating the symptoms of your illness, medical marijuana can completely get rid of the pain of a dulling sickness like cancer, AIDS or other chronic diseases. Medical marijuana is an all-natural medicine, free of additives, colors and preservatives. For those who find themselves at the local natural food store, peering down the drug aisle at thousands of options to relieve pain, medical marijuana is the only logical solution. No other drug can be completely grown without adding a pill coating or some other unnatural substance to make consuming it easier. With additives in unnatural pharmaceutical drugs, many patients see addition side effects. For example, Tylenol can lead to liver damage and aspirin has been linked to gastric bleeding , and even death. With medical marijuana, patients are consuming an herb in its natural form, leading to zero added side effects. Moreover, countless pharmaceutical drugs have resulted in death as a result of the drug being misused, overused, mis-prescribed, due to adverse or unforeseen side effects, etc. Not a single known case exists of a man or woman dying solely from marijuana use. Now, with the legalization of medical marijuana in 15 US states and DC, this ancient herb that has become a modern medicine, is more pure, effective and safe than ever before. To ensure safty and quality, medical marijuana is normally lab-tested before mmj dispensaries or caregivers can sell the meds to medical marijuana patients. In addition, registered medical marijuana patients in Colorado and other states that have legalized medical marijuana, now have safe and professional places to obtain meds and seek consultation at marijuana dispensaries or from caregivers. As with other natural remedies and foods, we need to turn back to the basics. 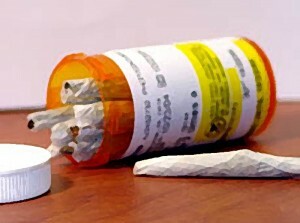 Medical marijuana has been used as a natural pain relieve for over 5,000 years. Its simplicity and organic nature brings medicine back to the basics—and can be used to help us avoid synthetic properties in modern medication.